Council receptive to four cities' UGB requests, but discussions underway about meeting expectations. The Metro Council will seriously consider expanding the urban growth boundary by 2,200 acres to help accommodate 9,200 new homes. All seven members of the council reacted positively to Metro Chief Operating Officer Martha Bennett's recommendation to approve expansion requests from Beaverton, King City, Hillsboro and Wilsonville during a Sept. 4 work session. Even Councilor Bob Stacey, a former director of the 1000 Friends of Oregon land use watchdog group, said he was "very excited" for the first time to discuss expanding the boundary, which determines where new development can occur. Bennett's recommendation, which was released in late August, came with specific issues to be discussed with each city to ensure a mix of housing, including units affordable to households earning less than the area's median family income. The discussions will occur under a new expansion-review process adopted by the council to ensure the planned housing actually is built. "I can't tell you how excited I am by the new process," said Metro President Tom Hughes, who spearheaded its adoption after the council voted against expanding the urban growth boundary in 2015, the last time it was reviewed. That decision was criticized by area home builders and others, prompting Metro to decrease the time between boundary reviews from six to four years. State land use planning laws require the boundary to always include a 20-year supply of buildable land. The largest request is from Beaverton, which wants to expand onto 1,232 acres in the Cooper Mountain urban reserve area for 3,760 homes. The next largest request is from King City, which wants to add 528 acres in the Beef Bend South area for 3,300 homes. After that, Wilsonville wants to expand on 271 acres in the Advance Road (Frog Pond) area for 1,325 homes. And Hillsboro wants to expand on 150 acres in the Witch Hazel South area for 850 homes. Such housing is in high demand. Hundreds of homes have recently been built or are currently under construction in the Cooper Mountain area, where the Beaverton School District's new Mountainside High School opened last September. Most of the homes currently under construction in the area are already sold. But even if the council approves all the expansion requests, the potential additional housing is just a fraction of the 280,000 or so homes of all kinds Metro says are needed in the region by 2038. Many more units are expected to be new apartments in Portland, which has already zoned for them. Such developments have already been built or are taking place along major transportation corridors, including stretches of Southeast Division Street, Southeast Tacoma Street, Southeast Belmont Street, Burnside Street, North Mississippi Avenue, North Williams Avenue, the Lloyd District, and in the former Conway freight distribution site in Northwest Portland. The City Council also is scheduled to consider a proposal early next year to rezone a significant portion of single-family neighborhoods for relatively small multifamily projects, such as duplexes, triplexes, four-plexes and additional accessory dwelling units. The idea is controversial, and has generated considerable organized support and opposition. The urban growth boundary, which is required by state land use planning laws, determines where new development can take place in the Portland region. Originally, it could be expanded only onto land deemed unsuitable for farms and forests, regardless of whether any nearby cities were willing or able to fund the necessary infrastructure improvements. As a result, some property was previously brought into the boundary that may never be developed, even though it is still considered available for growth. Now, after a lengthy process that had to overcome legal and administrative challenges, Metro has designated urban reserves adjacent to cities in the region where planned growth should take place over the next 50 years. For the first time, Metro asked cities to submit requests for where they want to expand into the urban reserves, including details about how they would help fund future development in them. As a result, Hughes and the other council members are talking about working with "partners" to help meet the region's housing needs. "No other region does urban growth boundaries better than we do," said Hughes, who was prevented from running for reelection this year under Metro's term limits. He will be succeeded by Lynn Peterson, a transportation expert and former Clackamas County chair who was elected president in the May 2018 election. 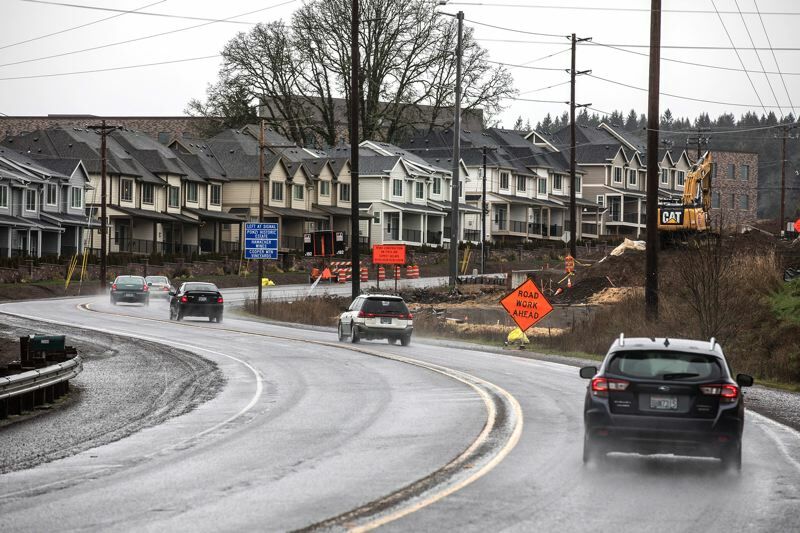 During the work session, Metro councilors were most comfortable with the requests from Beaverton, Hillsboro and Wilsonville, which have all helped produce successful developments in recent years. Councilors were more cautious about King City, a smaller city that has never undertaken such a large project before. A recently discovered conservation easement across a portion of a proposed east-west connecting road further complicates the request. But Bennett and most councilors said they were willing to give King City the chance to succeed, in large part because the region needs to produce hundreds of thousands of new housing units of all kinds to accommodate the additional people expected to be living here in 20 years. Bennett's recommendation also includes suggestions for increasing the total number of units, especially affordable ones, by reducing city charges for building such supporting infrastructure as roads and utility systems. It is unclear how such necessary improvements would be financed, however. Metro officials have discussed the need for a regional infrastructure finance source in the past, but have never offered a specific proposal. Public council hearings on the requests and recommendation have been scheduled for Sept. 20 and 21. The council will then hold hearings on the ordinance to approve some or all of the requests on Dec. 6 and 13, with the final vote happening at the second one. The expansion requests are supported by the Home Builders Association of Metropolitan Portland, PGE, Clackamas County, the Clackamas County Business Alliance, state Sen. Kim Thatcher, R-Keizer, the Westside Economic Alliance, and the Community Housing Fund. "As you are aware, the Portland metropolitan area is in the midst of a housing supply and affordability crisis. It is time to act," the Westside Economic Alliance wrote the council on Aug. 15. Some residents in each of the cities oppose the requests, with most saying they prefer the way things are. The Sherwood City Council withdrew a fifth preliminary request in the face of community opposition in April. A Metro staff report says the proposed expansions could reduce owner-occupied home prices slightly in the Portland area. "If developed, the four proposed UGB expansions would result in modest reductions in housing prices for owner-occupied housing by providing additional housing supply," reads the draft 2018 Urban Growth Report, which was released July 3. It was prepared to inform the council's final decision.